Sorry for the delay getting yesterday’s issue out. -Ed. O’Learys Irish Bar, Torrox Costa: 11 months, that’s how long we’ve been open and to have reached 2000 likes and follows in that time is nothing short of humbling! From mentions on Irish radio, regular customers from more countries then we thought possible and to people contacting us 3 months before they come on holiday just to get our music line ups, we just can’t believe how far our tiny little bar seems to reach! So, stick with us cause we’re nowhere near done yet and have loads of things lined up to make us bigger and even better, starting of course with Cian’s first brunch morning tomorrow! This Wednesday we will be starting our new midweek brunch special! We’re gonna open for a half day (11-1530) and serve 1 special plate of brunch that will change every week. This week is the all time classic EGGS BENEDICT! 2 poached eggs served on a toasted muffin with crispy pancetta, homemade hollandaise and crispy rocket for just €6! A delicious and affordable way to have a little treat and break up the week with the best lunchtime views around! Open from 12pm Thursday and our quiz is on tonight from 8.30pm! Pop down, have some food, relax on our terrace and watch the paseo go by and then get ready for the quiz and some great prizes! Score more then the quizmasters target to win the top prize on the night! Great fun guaranteed! -Friday 9pm The Box Drum Band are joining us cause nobody gets a party dancing like these guys! -Sunday And Alberto Fer will be here sing to you live ad you enjoy our alway popular Sunday roast!!! Thank you everyone for supporting fresh food, live music and most of all, us! 2.Thanks to all who attended Kitty Harri’s Sculpture Garden on Sunday to help make our special concert day a great success and to all the visiting string musicians who did such a splendid job playing Vivaldi’s Four Seasons. Any more classical musicians resident or visiting within the DigameXtra region please get in touch! -Sun 10 MAR – Due to high demand we’ve scheduled an additional Mosaic and Mosaic Table Workshop for Sunday March 10th. Please enquire for details. Second recital of the IV Opera Season that we celebrate every year at the Playa & Sol Restaurant in Nerja. Our artists will present on each occasion, a different music program. Seating is limited, so remember to make your reservations and buy your tickets soon. The price includes the concert, welcome aperitif, and a full dinner buffet (drinks are also included). Great events and promotions every week at La Tabla in Torrox Park! -Sunday Day: Traditional Carvery (9.95€) Reservations essential! -Sunday Night: Live music with Rosa (debut performance) + roast dinner only 5€! Dessert of the day 2.50€! Reservations essential! -Wednesday 27th February – Ben James (Jersey Boys Lead Singer): Sounds of Broadway (FREE ENTRY) Reservations Essential! Mid week roast available! Only 5€! -Sunday 3rd March – Sandy Lawrence is back! Roast dinner only 5€! Dessert of the day 2.50€! Reservations essential! -Saturday 9th March – Ricky Lavazza. Tickets 15€ with a main meal. -Wednesday 13th March – Take That Tribute. Tickets: TSC members 10€ / Non-members 15€. Tickets include a choice of main meal. -Saturday 23rd March – Adriana Rogan (Appeared on the Spanish tv show “The Voice” Tickets 15€ with a main meal. Contact Us- You can reserve your table or tickets for any of the above events, pop into the bar or email us on info AT tablatorrox DOT com or by phoning Pj on 603113931, La Tabla on 603110608. We are situated in the centro commercial in Torrox Park, up above the “La Roima” restaurant. You can visit our website or Facebook for more information on all our special offers & events. Weekly Crochet Group, Thursday: Do you crochet? Would you like to learn? Do you fancy having coffee and chatting one morning whilst working? We are a multilingual (English, German, Spanish) group of ladies that meet every week in Algarrobo Costa. (We used to meet in Torre so you might have heard of us). The group has been meeting now for 5 years and more and we would love new members to come along and join us. We meet at Ri Jo’s Cafe Bar on the front from around 10-10.30 ish to 12 – 1pm ish every Thursday. Email enquiries or for more information to nikash2 AT hotmail DOT com or just write that email address or web address down somewhere in case you may need me in the future! I am a DigameXtra sponsor and so my contact info is available in the sponsors section below as well. There is also a contact form available on the website. Natural Health & Beauty products: I use & love the products from Forever Living. I have spent 9 years investigating these products, building knowledge and I am also currently studying cellular & medicinal Nutrition. There are aloe vera drinks, dietary supplements, personal hygiene products, specialist skin care and facial products and products for the home & pets. Please feel free to visit me for further information and advice at the following locations and dates. -Wednesday, 20 Feb and Wednesday, 6 March 10am to 1pm at La Tabla Restaurant, first floor, Torrox Park Commercial Centre. Are you ready for a change in your life? The Forever business plan is for those who wish to work more flexibly, from home, and be willing to learn a different way of earning money and to teach others how to do the same. Service Wanted: Housemaid, female butler required. We have potted Vetiver of different sizes and also in trays of multiple plants that we have grown in our greenhouses for sale. They are more mature plants which will establish quickly in colder climates. They are for pick up only due to their weight. We also have the normal slips available as usual. We can easily ship those if needed. Check out our new addition of “Buttons” on our home page. They have information on planting, best time to plant, A “Vetiver Introduction Letter” with a load of information and of course more photos and videos related to the use of Vetiver. The best time to plant Vetiver is between now and the end of March. This way the plant gets the benefit of a long hot summer. Remember that Vetiver is indigenous to India and loves the heat. 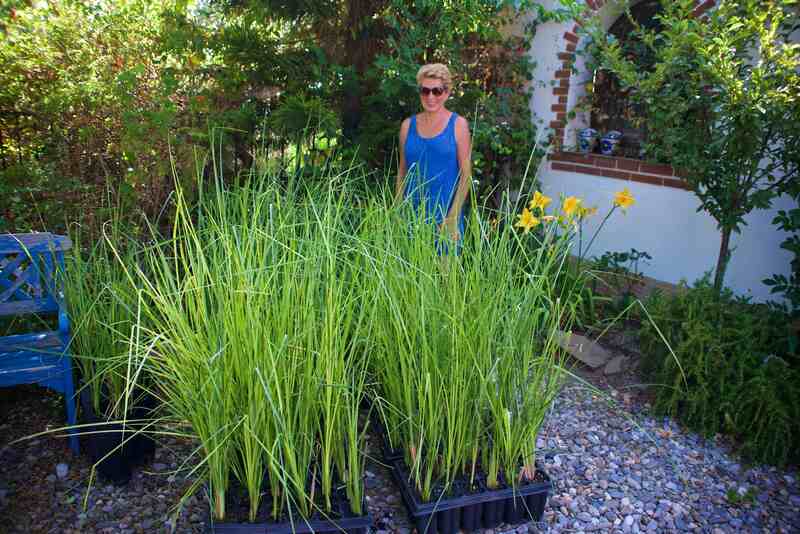 Vetiver can be planted all summer long. We are also taking orders for Moringa Trees that we have been growing in the greenhouses. There is a limited supply so place your orders soon. There is also a “Buttons” that will take you directly to the Moringa page or the Lemon Grass page with a lot of useful information. We have put together this information to make it easier for you to research. Link to a great video. contact: marktasker AT aol DOT com ; whatsapp 635057354 More pics available. Email – djrobano AT gmail DOT com. Near Benajarafe. For Sale: Drop leaf table and 4 chairs. In dark wood 45€. Can deliver within small distance. For Sale: A Budget Priced LINUX LAPTOP For WIN 7 Users. Samsung Laptop, N150. A DoctorLaptop Refurb! It is running MX-Linux, the most Windows 7 like version of Linux. Same tool bar on the bottom with familiar looking icons. Same START button in the lower left corner. Same folder names. You’ll soon forget you are not using Windows. 10 inch display, 2Gb RAM, 160Gb HDD, UK Keyboard. No HDMI, only VGA for video out. Only €110, add €15 if you want a lesson to run you thru the basics at time of purchase. If you want to get started with Linux, the virus-free land of free software, this is a great, inexpensive way begin. Try it before you buy it. If you don’t like Linux, no harm done, but at least you will know what is available once Windows becomes a subscription service in the coming years. Naythan, Torrox Costa. Tel. 675 993 069 (no calls answered before 11am, missed calls returned asap). -Tidy Rail: Black and chrome hanging rail, on castors, 90cms wide. Two available, boxed, one unopened. Argos products. 7€ each, both for 12€. Extra hanging space, or ideal for “bootsalers”! -Other pottery: wall-hanging plate and flower pot. 15€ for both. Seeking Art or Textile Groups: Can anyone recommend any art or embroidery/textile groups that meet within the areas of Alcaucin, Vinuela, Periana, Los Romanes or Velez Malaga? I live just outside Vinuela and am prepared to travel to any of these areas to improve my watercolour painting and textile art. I’d be grateful for any recommendations you might have. Can anyone recommend a good surgeon and give me an approx cost. It seems I have to be very immobile before the health service here will consider doing the operation, leaving me unable to work. Many thanks is in advance.